Another day, another listicle on the internet. But this one’s different. Let me back up. A couple of weeks ago I ran into an article roughly titled “The Top 15 Figures in Web Design Right Now.” I love articles like this because I can immediately share them with students in our Design and Development Career Blueprints. They can follow these VIPs on Twitter, Facebook, or even Periscope as a part of their studies and to keep up with what’s going on in the tech world. I clicked on the article and waited for it to load, wondering if I’d see my brilliant and oft-cited sister, my super talented friend Katie or fab master class instructor Una—all super important web influencers today. But when I clicked on that list? I didn’t see any women, any people of color…and not even any web designers! Here is a list of 50 people who you should follow on Twitter. They work in development, design, UX, product, gaming, content strategy, interaction design and other awesome webby fields, and they are hugely influential in tech RIGHT NOW. 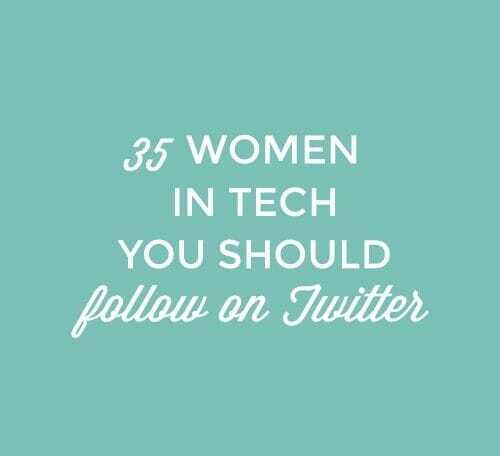 Follow everyone on the list, bookmark it, and even consider reaching out to a few of these tech thought leaders! Ann Friedman is a freelance digital journalist who writes columns about politics, gender and culture for NYMag. She’s written everywhere from The Guardian to Elle to the Columbia Journalism Review and has the best newsletter in the biz. Subscribe to it immediately so you always know what’s going on. Mina is a front-end engineer for Hillary Clinton. She’s also the founder of the Dallas Chapter of Girl Develop It and DFW Sass. She also teaches at Black Girls Code and organizes several cutting-edge conferences. Meredith is the managing editor of Birth.Movies.Death, Fantastic Fest and the Alamo Drafthouse Cinema. I read everything she writes whether it’s a tweet or an article. You should too! Lyza co-authored Head First Mobile Web and is a developer, CTO, and cofounder of Cloud Four. She’s a tech generalist and loves web and mobile. She’s also a columnist at A List Apart. Amber is a software developer and conference organizer. Her Tweets and GitHub are a constant source of inspiration and I always find myself updating my “to-learn” list after reading a few of her tweets. 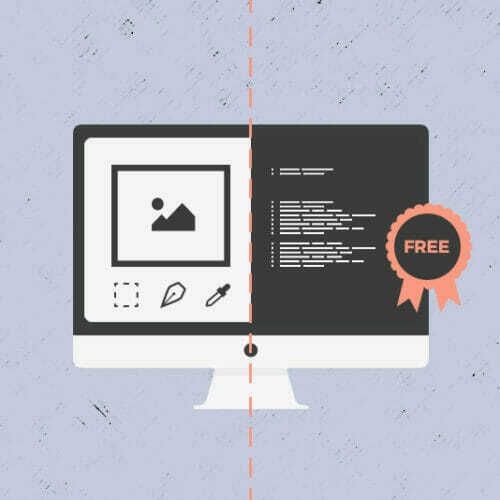 My goal is to get Aura to do a master class for us here at Skillcrush (wink, wink!). Her work is already featured in a Skillcrush module and her Twitter feed is full of helpful resources for students. Aura is a Senior Designer at HappyCog. Founder of the Tech Lady Mafia and host of the awesome podcast Call Your Girlfriend, Aminatou is a digital strategist and one of Forbes’ 30 Under 30 in Tech. She’s also one of the most powerful voices on my feed and I think everyone needs to follow her immediately. Julie is a designer and developer and one of the most influential female voices on the web. She’s worked at GitHub and Yammer, and founded Passion Projects—a web series that celebrates women in tech. Greta and Tricia run the fabulous Nerdette Podcast. It’s my dream to be featured on it someday (winks again!) and Tricia and I are basically BFFs because we follow each other on Twitter. They’re public media goddesses who have super important things to say about tech, pop culture, and other general geekery. Felicia is a geek’s geek. Already a major actress, Felicia has added producer, founder, director, and other MAJOR titles to her list of parallel careers. She’s produced several influential web series and launched a wildly successful YouTube Channel called Geek & Sundry that you need to subscribe to right now. Jane is muse to many men and women in the gaming industry. 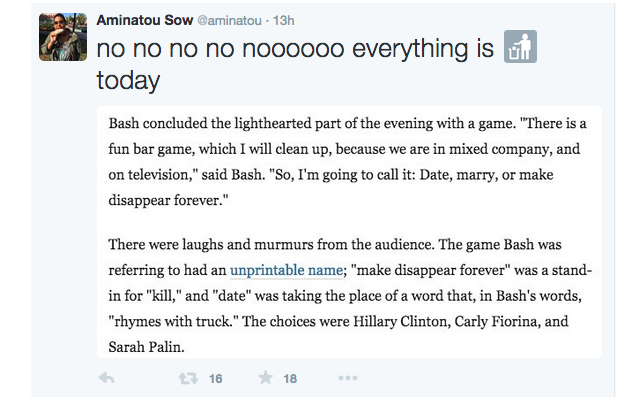 She’s a game designer and educator known for her work in the alternate reality game genre. She’s also an accomplished author of several books, the Director of Games Research & Development at the Institute for the Future in Palo Alto and she serves on the Board of Directors for Games For Change. I saw Jane speak (and dance) at SXSW several years ago and she’s fantastic. The first time I heard about Lulu Miller was on Radiolab. She produced a piece about a transformative road trip she took with her friend Soo and I was hooked. I listen to everything she produces—including the most recent NPR podcast—Invisibilia. She’s hilarious and poignant. Rachel is a Neuroscientist, Data Scientist, Entrepreneur and yes, a Unicyclist. Outside her professional day to day, Rachel is also a researcher and volunteer. Her tweets are daily must-reads. Amelia is the founder of Magic Vibes Corporation, building software for wearables for iOS. She also cofounded the popular publication Model View Culture. Lara is a Senior Engineering Manager at Etsy, a feminist who is passionate about impacting the #womenwhocode movement and author of Designing for Performance—a book she’s made available for FREE (so you have no excuse not to read it) but that I strongly encourage everyone to buy as all proceeds go to charity! 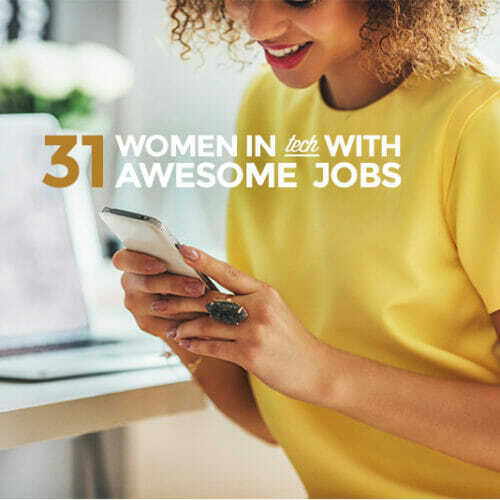 Milena is CEO and Co-Founder of PowerToFly, a company focused on connecting companies hiring remote workers with the perfect candidates. PowertoFly focuses on empowering women to live flexible lives balancing work with commitments at home. Cassey is the creator of POP Pilates and has been named one of the top 25 health and fitness influencers in the world. I’ve followed her career and she is one of the most savvy web and social media entrepreneurs around. Jen’s project, 180 websites in 180 days, is shared repeatedly in our web design and development blueprints. Whenever a student gets discouraged or stuck, our instructors link them to Jen’s project. It’s incredible and inspirational. Poornima is the founder of Femgineer and works tirelessly to empower and educate female engineers. Both her personal account and the Femgineer account are full of great resources and tips. Reshma is the founder and CEO of the nonprofit GirlsWhoCode and the author of Women Who Don’t Wait in Line. I love her message and mission for girls and older women alike. Allison is a designer, visual artist, and educator who frequently shares her expertise at conferences and workshops. If you’re just starting out as a designer, you’ll learn faster if you follow her Twitter feed. I just received my hard copy of developer and cofounder of railsgirls.com Linda Liukas’s children’s book about the Ruby programming language. Hello Ruby! is absolutely fantastic and Linda is a total inspiration. Yesenia is a senior product designer at Vox Media as well as an Acquisitions Scout for A List Apart. She has a fabulous portfolio and I always encourage our design students to pore over her design techniques. Kimberly is the founder and executive director of Black Girls Code and her career has spanned roles ranging from Biotechnology to Engineering to Technical Project Management. She’s a champion of inclusion and diversity and was the White House’s Champion of Change in 2014. Brianna describes herself as the “Godzilla of tech feminists” on her Twitter bio. She’s a prominent game and software developer as well as a trailblazer. Brianna frequently speaks out about issues women face in the tech industry. Christen is an advocate for girls’ education. She co-founded She’s the First, where she’s also the Director of International Operations. Lexi is an Oscar-nominated Director, former world kickboxing champion, and US Marine Corps Combat Instructor. As I write this, she’s directing tonight’s episode of one of my favorite TV shows, Arrow. Lexi is a must-follow on Twitter. She’s got a strong, feminist voice and tells it how it is. Saadia founded Tech Girls Can, an inclusive Canadian Hub for Women in STEM fields. She’s an inspirational speaker and advocate of women of color in tech. Kelly is hands down one of the most influential voices on Twitter. She’s a columnist, an investor panelist, and a skilled moderator working in the tech and investment arenas. She’s passionate about emerging tech, start-up, and accelerator programs and actively invests in women and gender-diversity. Laura owns Talking Shrimp and is a creative web copywriter and PR pro. She’s a brilliant consultant and everything she writes is pure gold. Sallie is a former wall street executive who just founded Ellevest, a platform geared towards redefining investing for women. No list about women in the web world is complete without Katie, an award-winning designer and co-host of The Path to Performance Podcast. She leads the Columbus Dribbble Meetup and is super passionate about getting more women into the tech world. My sister. My muse. Sam’s a web design instructor at The Iron Yard here in Austin and her areas of expertise include Responsive Web Design & Typography. She doesn’t really introduce herself as a front-end developer but she’s one of the smartest devs I’ve ever known, shared genes aside. Lyzi helps runs Maptime and teaches an Intro to Web mapping class in San Francisco. She’s also a 2014 Code for America Fellow and her Twitter feed always teaches me something new about the web I hadn’t considered. Sara founded GirlDevelopIt in 2010 and went on to become the CTO of Flatiron School. She’s currently the CEO of Jewelbots and is passionate about getting more women to become software developers. Kristina is CEO and Founder of Brain Traffic and author of Content Strategy for the Web. She is a top voice in content strategy for the web and her feed is a mix of great resources and hilarious musings. Julia is a Senior Engineering Manager at Slack. Her post “An unconventional guide for getting a software engineering job” is a must read for all code newbies. Christina is a talented freelance Graphic Design and Founder of Women.Design.Build, an org with a mission to equip all women with tools and resources to lead more self-sufficient lives. She leads educational workshops focused on teaching home-building and design skills. Rachel is a data visualizer, art historian, and mathematician currently working at Nasa’s Jet Propulsion Laboratory. She’s got a diary of her tech experiments on her website and Tweets how I feel. Lauren is a frontend designer and developer and also an instructor at the Women’s Coding Collective. One look at her Twitter feed makes you instantly realize she’s the kind of person who you’d call to work through debugging something rough AND ALSO someone you could call to help you get over the Gavin/Gwen breakup (also really personally rough for me, if I’m being honest). Pam is a brilliant software engineer, speaker, author, and all around genius nerd and I want to be her when I grow up. Sara is editor-in-chief at A List Apart as well as a content strategist and author. Diana is a product manager at SoundCloud. She lives in Berlin and tweets great pieces I don’t usually see on my feed. Jennifer is CEO of Ready to Groove as well as an engineer and biohacker. R2G helps women understand their bodies and fertility via their app. We’ve been fortunate enough to have Jennifer come and speak to Skillcrush students about entrepreneurship and the product lifecycle. Una is a talented front end developer at IBM Design and founded both the Sassy DC and ATXSass meetups. She frequently speaks about web performances, Sass, and open source. Diana and Cheyenne founded The Girls Guild, where they focus on providing STEM-focused apprenticeships for girls. Both work in interaction and graphic design and have a passion for women’s education. Amanda Palmer is an awesome alt-rock musician, and she’s vocal about making music free. Instead fighting the fact that we can share music for free all over the Internet, she embraces it. Her new book The Art of Asking is all about how she asks for help rather than engaging in the traditional pay-for-music model. Haley is the Director of UX at Clearhead. She’s an all-around brilliant, creative lady who shares what she learns and is always on the cutting edge. She’s #1 on my master class wish list right now (Haley, will you do a master class for us pretty please?) and her Twitter feed is hilarious and adorable. Want more? Check out this fantastic collection here. 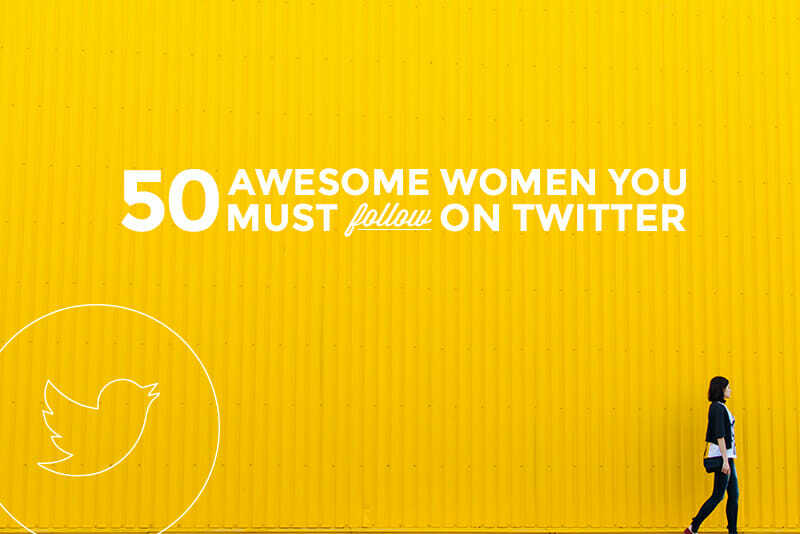 Ready to contribute your own list of women to a future Skillcrush list? Tweet us @Skillcrush and tell us who to add on the next list!